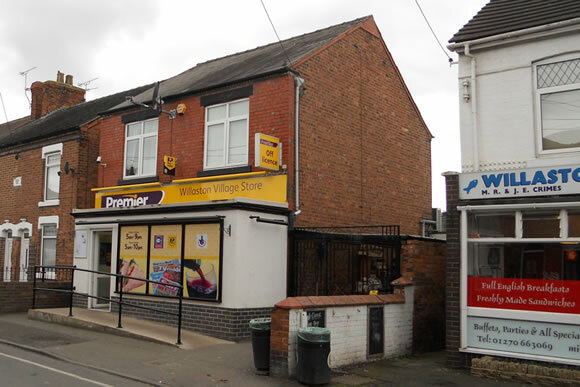 The earliest record of a newsagent’s shop at 23 Wistaston Road, Willaston is on the 1911 Census where the family of Charles Harrison are recorded. His occupation is given as railway engine fitter but his wife Louisa is listed as draper and newsagent with two of their three daughters Martha and Elizabeth as assistant newsagents. In 1896 Charles is listed at the above address as a draper and smallware dealer and this is the earliest record of a shop at this address. The two daughters took over the business on the death of their parents and are listed firstly in 1923 and lastly in 1939. One of the daughters married a Mr Madders and so the business was run by the Madders around the 1940s. They were followed by Mr and Mrs Reg. Thompson, assisted at times by their eldest daughter Jean. Mrs Thompson was a Brown Owl in the Willaston Brownies. It was around this time in the 1950s and 1960s that they ran a Christmas Club for village residents and one major difference with today is that the shop at that time sold many children’s toys. Also during the week in May before the Commander Bayley Cup Final, the cup was displayed in the shop window. 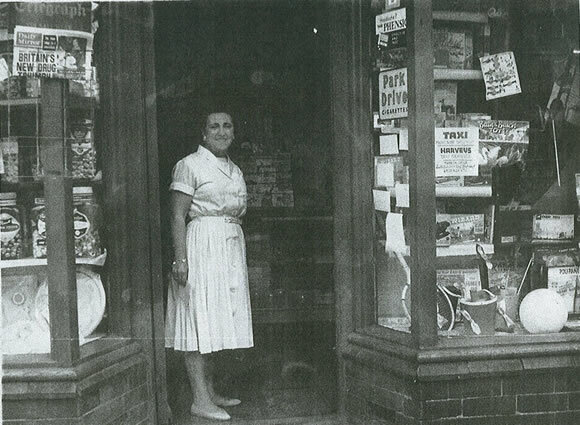 In a photograph taken before 1966, Doris Whitney , a shop assistant, stands in the doorway. At that time, the shop had a typical double windowed frontage with the door in the middle. In the left hand window can be seen sweet jars and on the right, children’s toys and a tennis racquet. The counter can just be made out opposite the door. 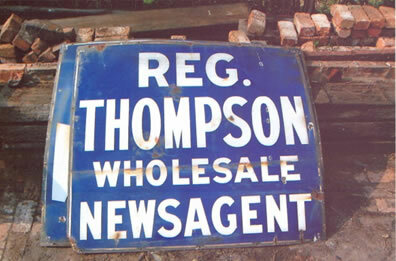 This enamel sign from the shop is still in the village. The Thompsons were followed by Mr and Mrs I.C.Ellis and it was during their time in the 1970s that the front door was moved from the middle to the right-hand side of the building. In the 1980s, Peter and Carol Newman took over the business and they were followed by Eddie and Rosemary Mayne-Flower in the 1990s. Bill and Christine Grimes followed afterwards. The next owners, Andrew and Nicky Grimes took over in 2004 and the newsagent’s shop now operates as the village store selling a wide range of foods and household goods. 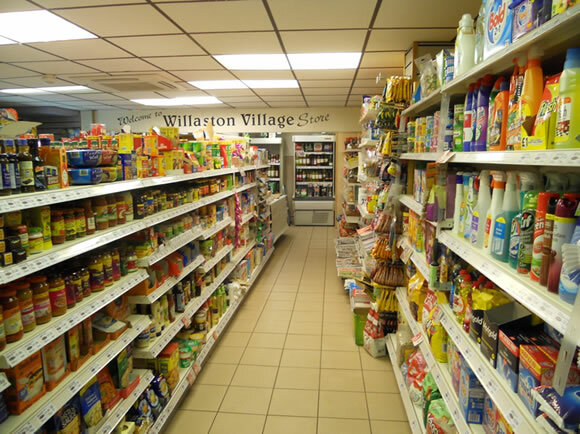 It started as a specialist shop, selling materials and cloth and was one of several retail outlets in the village (in the 1950s there were as many as seventeen shops in Willaston!) and now it sells a much wider range of goods to the discerning customer. The current owners are once again Bill and Christine Grimes. An interior view of the shop showing one of the two aisles.